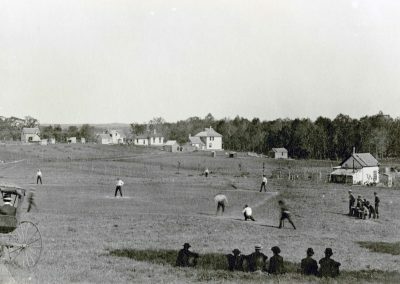 From 1887 to 1889, the original baseball field, situated at the foot of the hill below Old Main on the southeast side, was far from ideal. 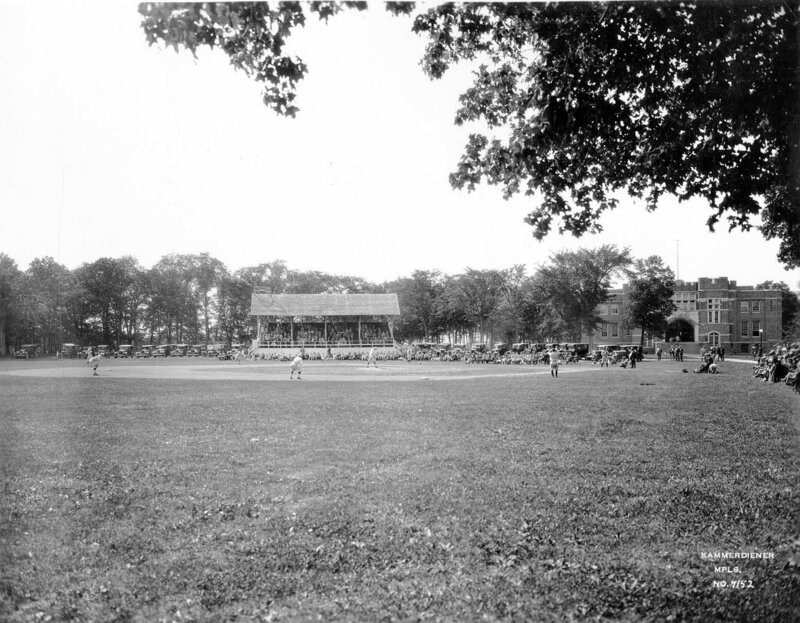 A raised wooden sidewalk traversed the outfield for students to climb the hill. More than once the game was paused for the retrieval of a batted ball that had rolled under the sidewalk. A barbed wire fence across the road served as backstop. The Oles themselves appeared as makeshift and rough as the field they played upon. Without uniforms, the players found the only point of resemblance by donning matching striped calico caps. The catcher had neither mask, glove nor chest protector. Players suffered broken fingers, black eyes, cut lips, and sprained ankles. Professor Halvor T. Ytterboe, who served as the team’s first baseman for several years, suffered alongside the students. 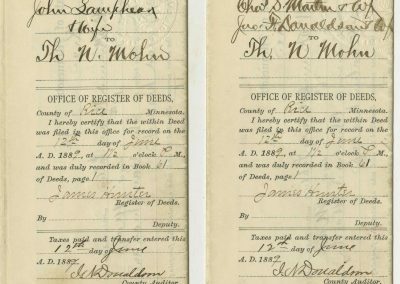 One of his daughters recalled crying over her father’s hands because they were bloody and bruised by the game’s end due to unpadded mitts. Once one of the boys decided to burn the grass and weeds to clear the diamond. A sudden wind came up and swept the fire up the hill. 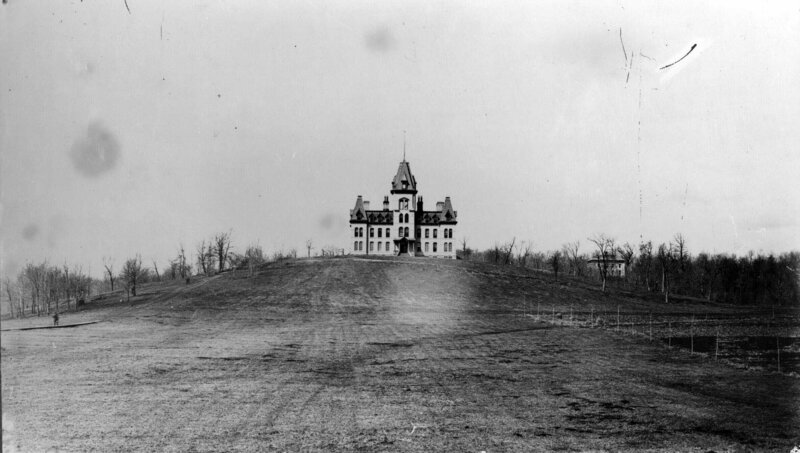 Old Main was saved by the efforts of many students and staff as they battled the blaze with pails of water and brooms. Unfortunately, more than 100 recently planted evergreens were lost in the fire. 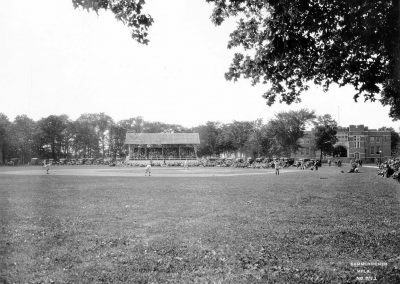 Admission was ten cents, and the games attracted large crowds, totaling an estimated 3,000 in attendance for the season. So strong was the baseball fever that a common complaint was that the game took too much time from studies and caused too much excitement. After one enthusiastic lad cracked his voice yelling at a game and for a long time was unable to sing, his father categorically denounced baseball. 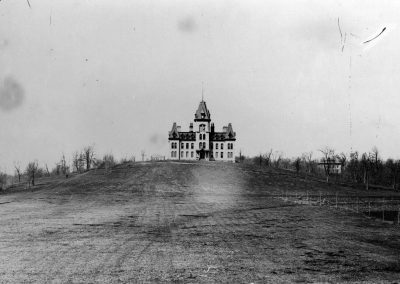 Across the river, the Carleton matron could not accept three straight losses to St. Olaf, so she refused to serve supper to the players after the final loss. 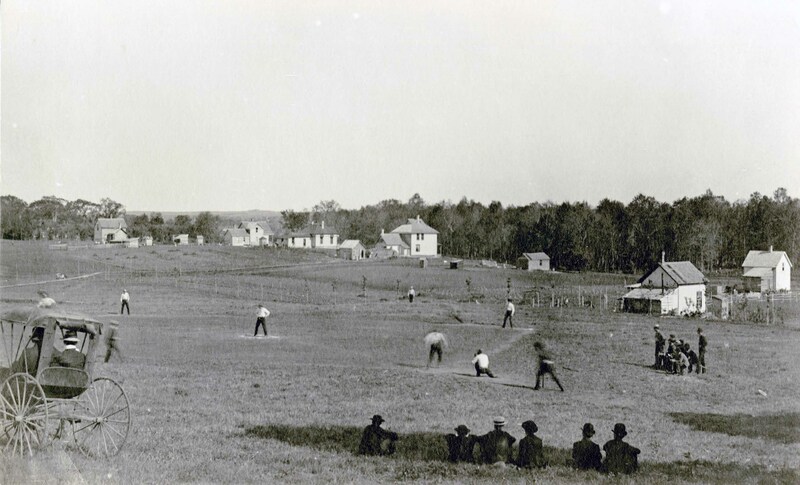 By the end of their second and undefeated season in 1888, the players embarked upon a unique plan in the annals of American colleges: to raise funds over the summer months in hopes of purchasing suitable land adjacent to the campus for a baseball diamond. 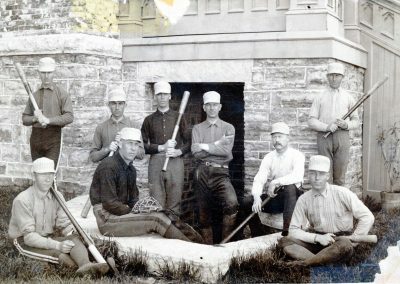 When the Oles opened their new diamond against Carleton on Friday, May 16, 1890, they sported uniforms of light gray with black stockings and belts. 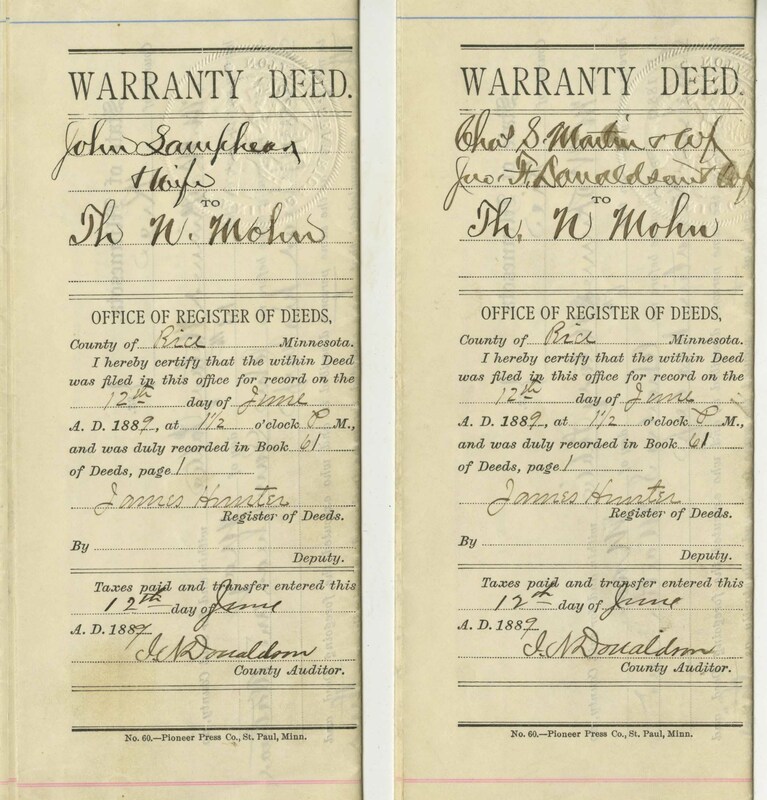 “S-a-i-n-t O-l-a-f, Rah! Rah! Rah! 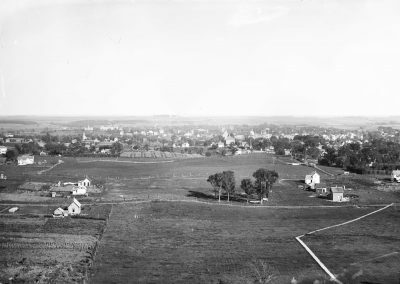 St. Olaf!” resounded from the hundreds of fans who lined the field’s edges. Players like center fielder Alfred W. Bjornstad ’90 St. Olaf Academy (future U.S. Army general), shortstop Carl J. Rollefson ’90 (future physician), and second baseman Edward R. Sinkler ’94 (future North Dakota attorney) took a minute to size up what had been accomplished. 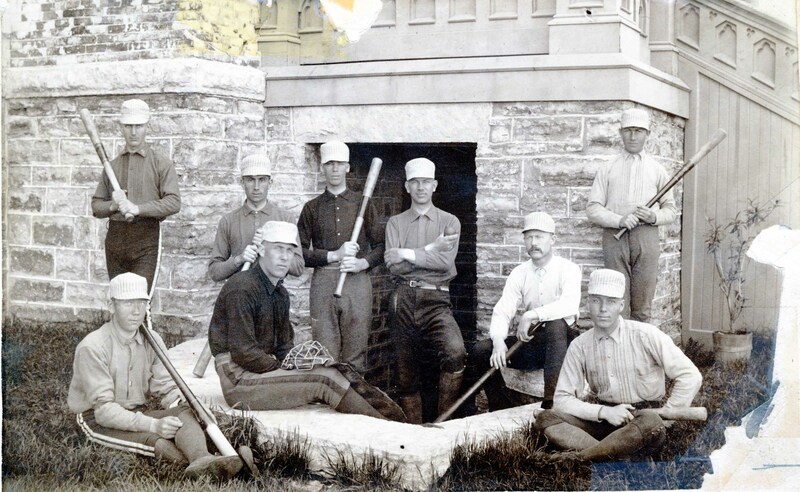 When the Oles opened their new diamond against Carleton on Friday, May 16, 1890, they sported uniforms of light gray with black stockings and belts. “S-a-i-n-t O-l-a-f, Rah! Rah! Rah! 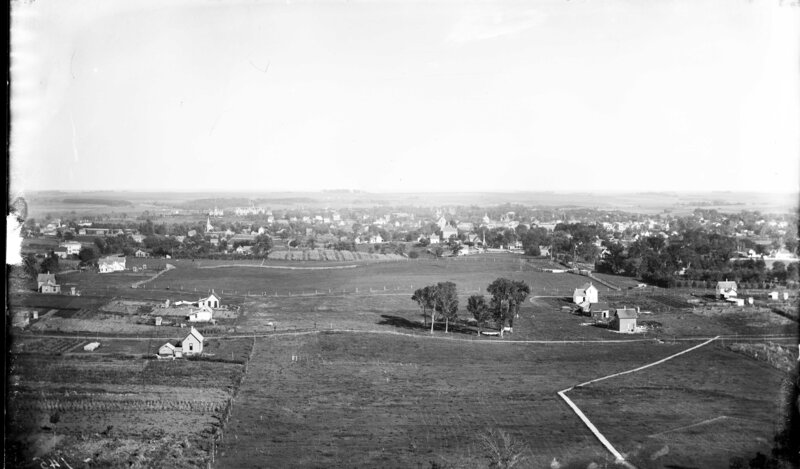 St. Olaf!” resounded from the hundreds of fans who lined the field’s edges. Players like center fielder Alfred W. Bjornstad ’90 Academy (future U.S. Army general), short stop Carl J. Rollefson ‘90 (future physician), and second baseman Edward R. Sinkler ‘94 (future North Dakota attorney) took a minute to size up what had been accomplished.